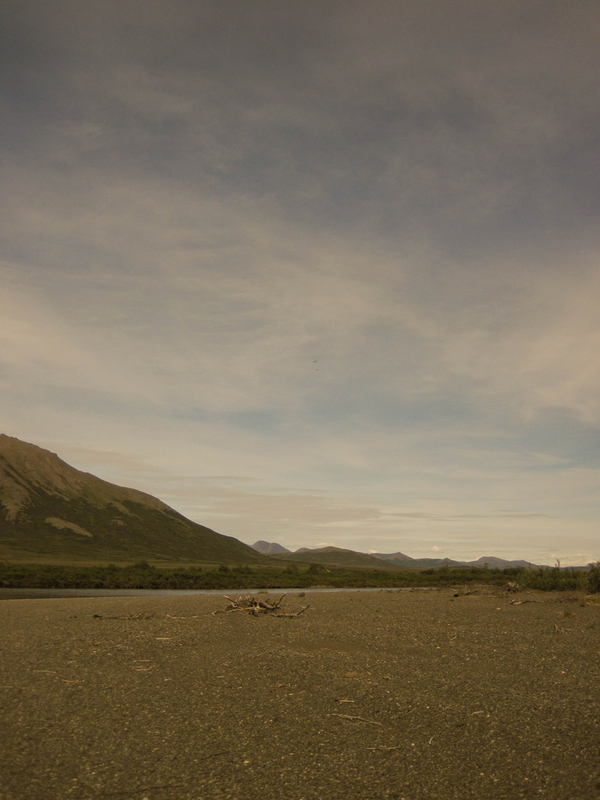 From the log of August 12, 2011: Tough choices were made as we flew west toward the river. To fly or not to fly. To fish or not to fish? One doesn’t ask the pilot to keep trying to claw through the scud in the mountain passes if the conditions aren’t safe. We landed. We were very grateful for enough visibility to locate Goodnews Lake. Once one is out on the river: “How much does it matter that the weather is inclement?” The log of that first foggy day reports that Coho, Sockeye, Lake Trout, Arctic Char, Dolly Varden Char, and Arctic Grayling were caught and released plus 2 Lake Trout were filleted to join with red sauce for a pasta dinner.” I’ve looked through my weather and barometric pressure records and observed fishing success patterns for the past decade for western Bristol Bay and the data is inconclusive as to whether a falling barometer impacts the fishery. 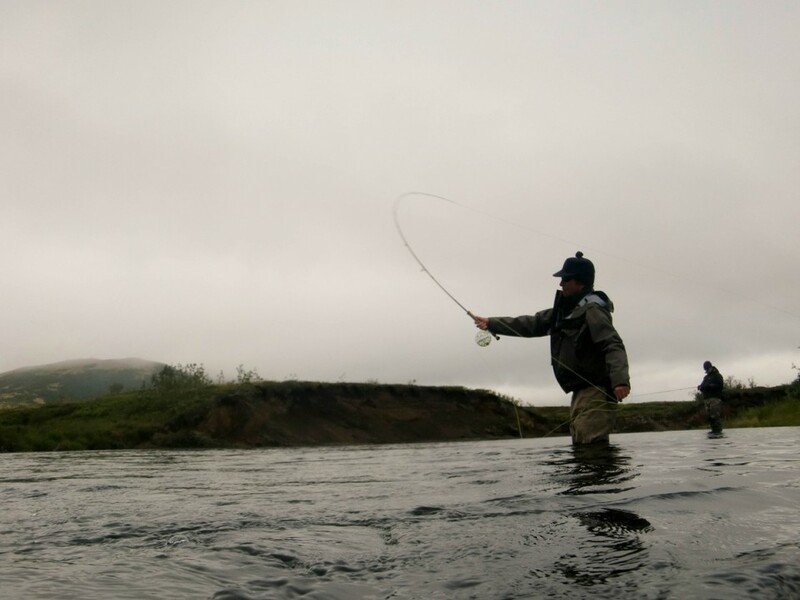 However the single factor that more than all others negatively impacts fly-fishing is a rapidly rising river water level during an above normal rainy period. 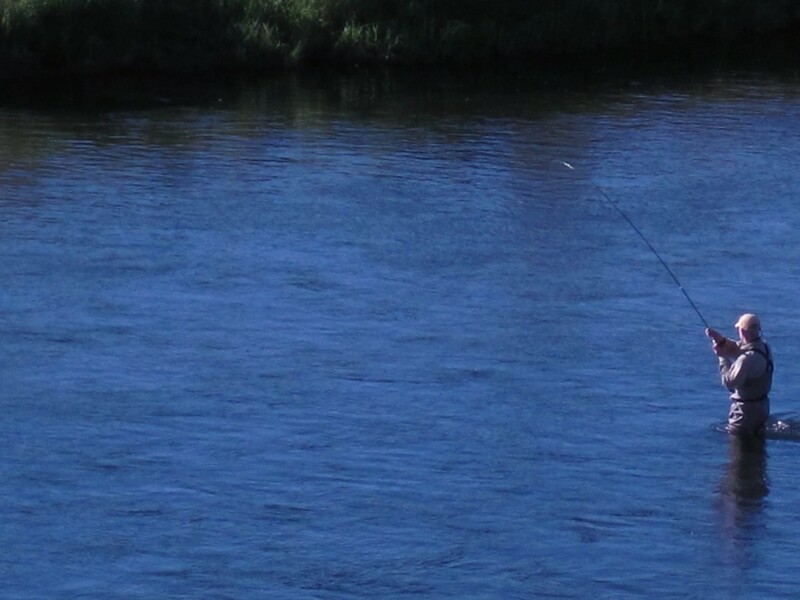 The single factor that improves sport fishing is the appearance of the sun to warm up the water by one or two degrees. 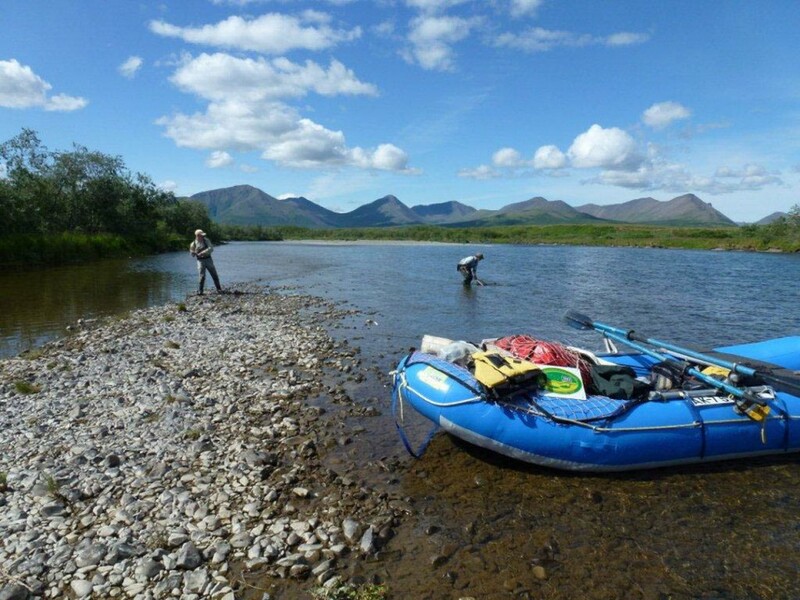 This trip merged the interests and passions of four individual anglers into one group. 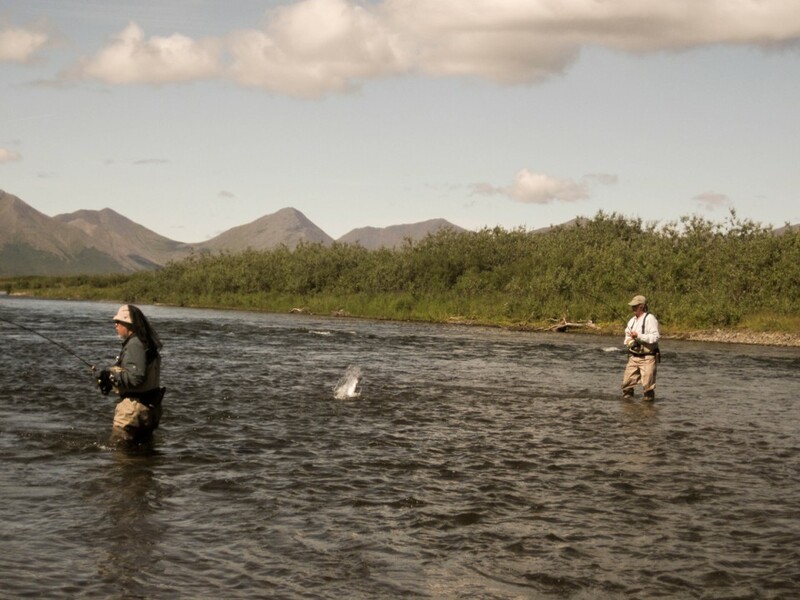 Two of the fly fishermen, Ifan Thomas and Richard Voss spend their years in widely separated Canadian Arctic and Alaskan Arctic/ sub arctic environments where the fisheries are dominated by Arctic Grayling, Arctic Char, Lake Trout, and Northern Pike. 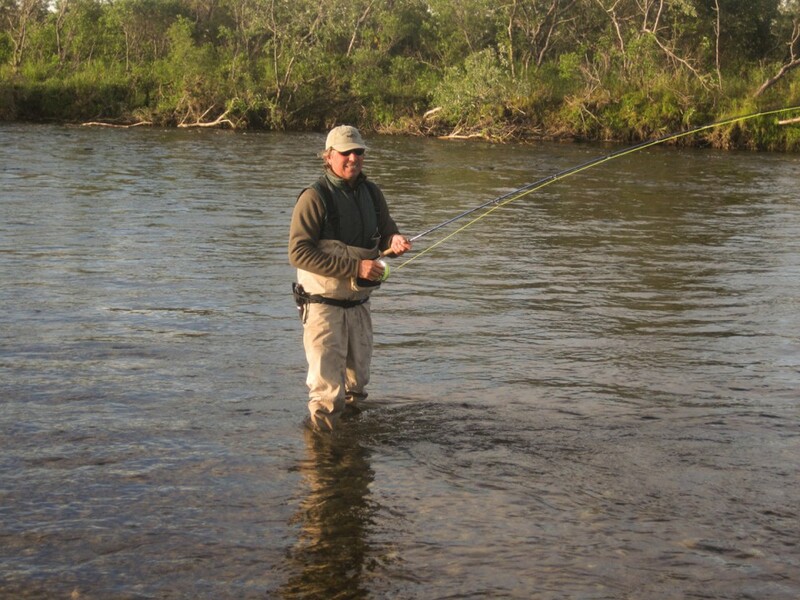 Two other accomplished anglers, Bruce Nelson and Jim Bean hailed from the Rocky Mountains where Cutthroat, Rainbow Trout, and Brown trout are the primary species. None of them knew each other prior, yet each eagerly awaited the start date for the trip. The expectations for this particular trip were very, very high. 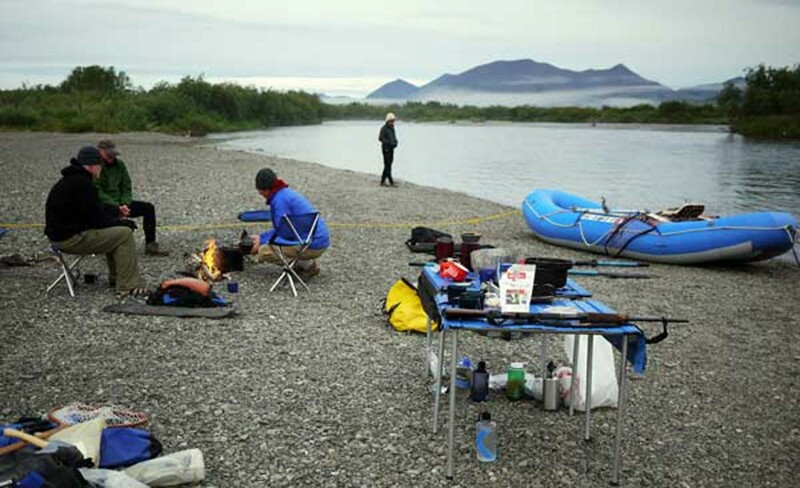 Without going into the two years of correspondence, and the scheduling, and rescheduling of the event it is worth pointing out that the fickle weather of the Bristol Bay of Alaska was a major factor in our expectations. 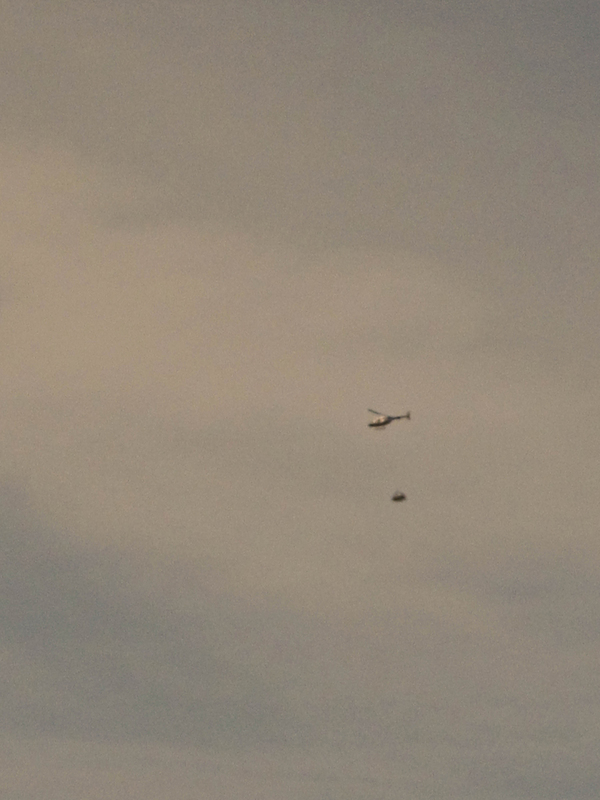 That is to say; that a certain minimal level of weather ‘cooperation’ is needed to get an expedition airborne. So we each sat in a state of high anxiety buckled in to the seats of a 1953 Dehavilland Beaver floatplane looking for an opening in the scud, cloud, fog, and rain. And then the flying and worrying were over. Let the fog and rain roll in or conversely let the skies clear. It mattered less. We were on the river for a week.. The upper river treated us very well. 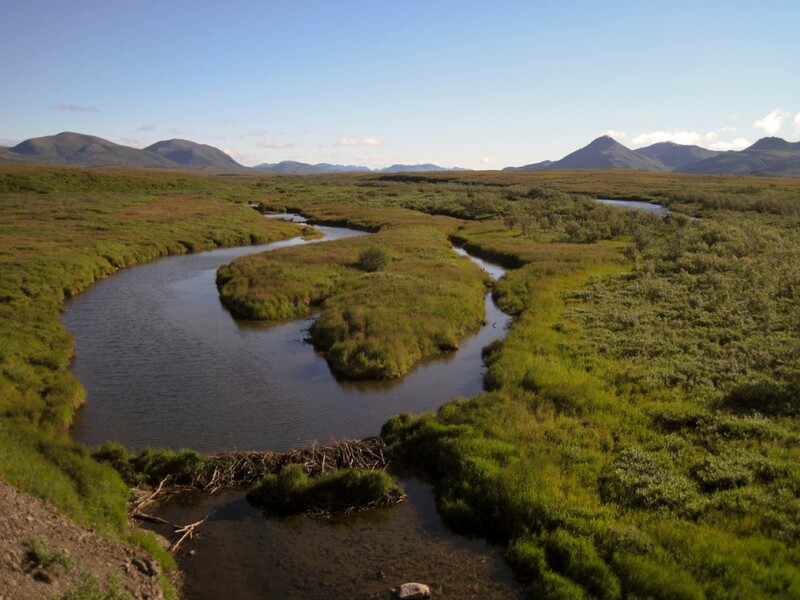 The Goodnews watershed had absorbed the rains of the prior days without turbidity and the migratory fish species, Dolly Varden Char and Coho Salmon were spread throughout the system. It was such a pleasure to not only wade and fish the river but to also hike up the bluffs above and gaze out. 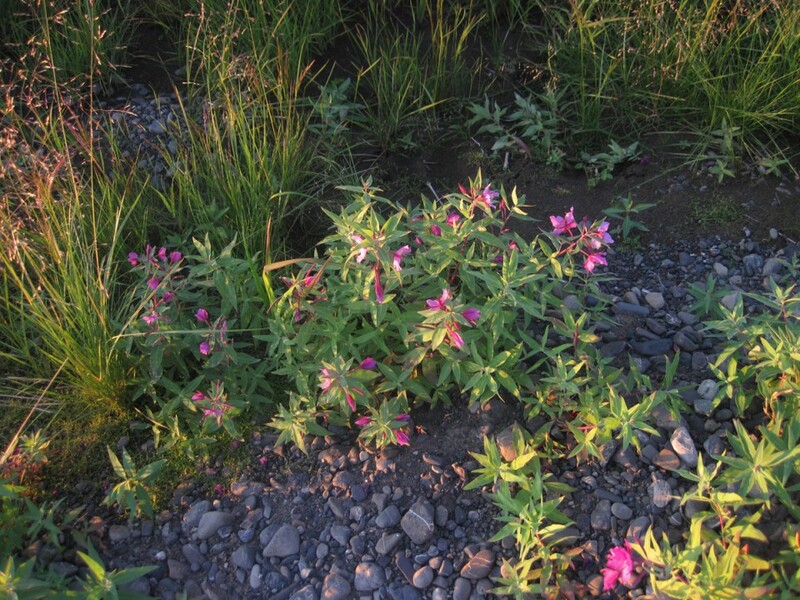 The rolling tundra of South West Alaska is lovely. The signs of alpine glaciations diminish as one travels down valley and the landscape can be quite beguiling. From the bluffs Ifan Thomas, and Bruce Nelson and I looked into the clear flows and the scene was breath taking because the light was so good. The Salmon were spawning and defending their redds. We tried to identify the different species of Salmon and then to key in on the smaller darting green, olive, and gray shapes. Is that a Char or a Rainbow? 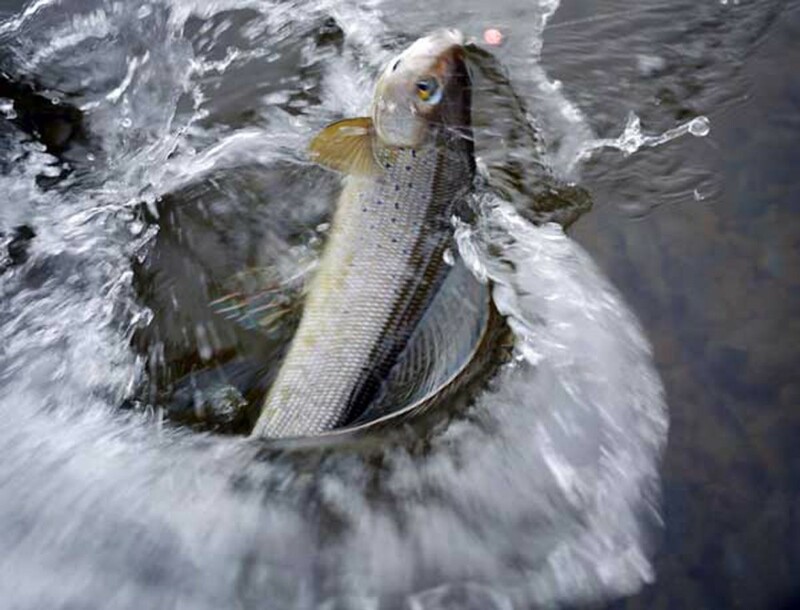 Could that be a really large Grayling? 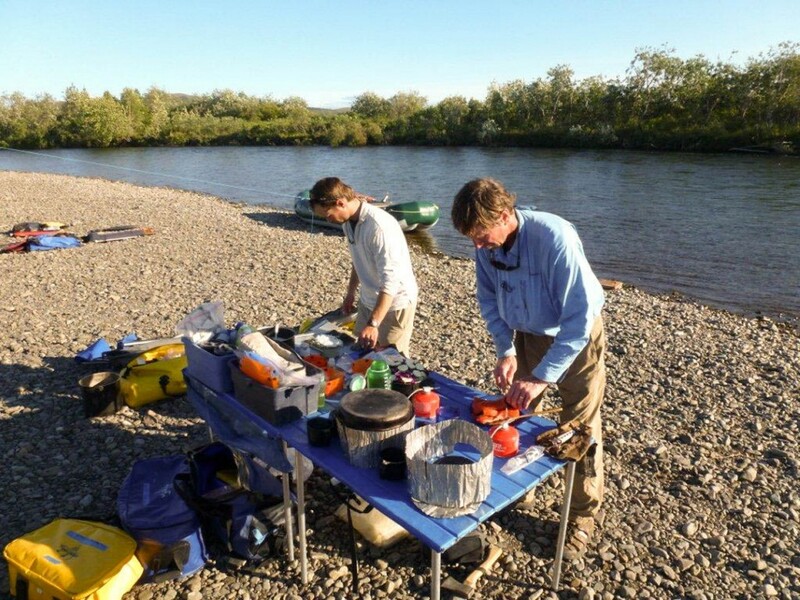 Although not mentioned in the field notes I recollect feeling comforted that two really experienced bear experts were along for the trip. 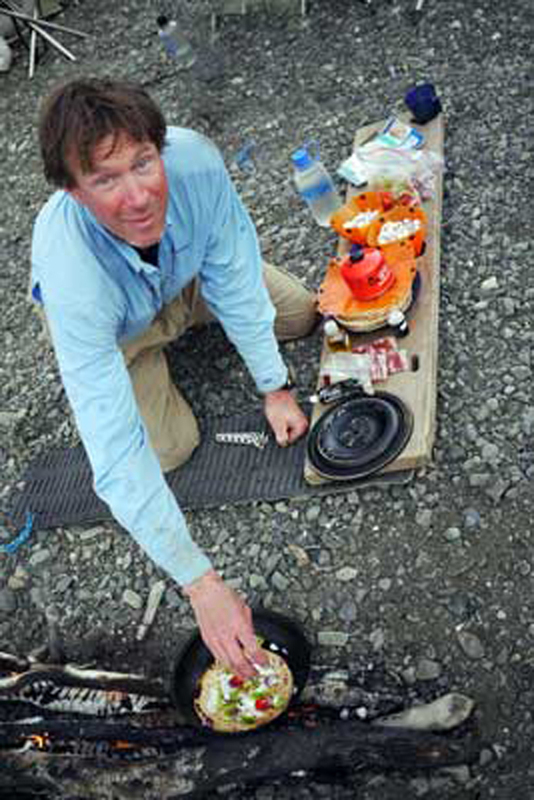 Between Richard Voss and Ifan Thomas they contributed several decades of polar bear and grizzly bear experience to our group. They also contributed lots of anecdotes (not all of which would sooth one’s nerves ) as we attached holsters of Bear Spray to our belts,. All the assembled crew would be good company and knew ‘more than a bit’ about the noises made by critters in the night along a salmon stream. Bruce Nelson is by any measure an adventurer. 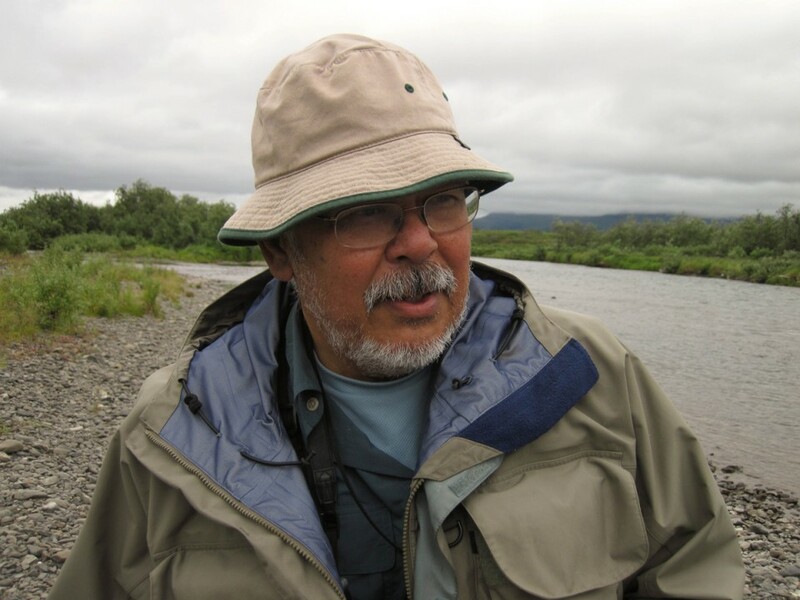 If you can’t help but ask about the numerous repairs to his waders you can listen to the accompanying anecdote about helping medevac a less fortunate person from a Colorado canyon. The waders took a beating. 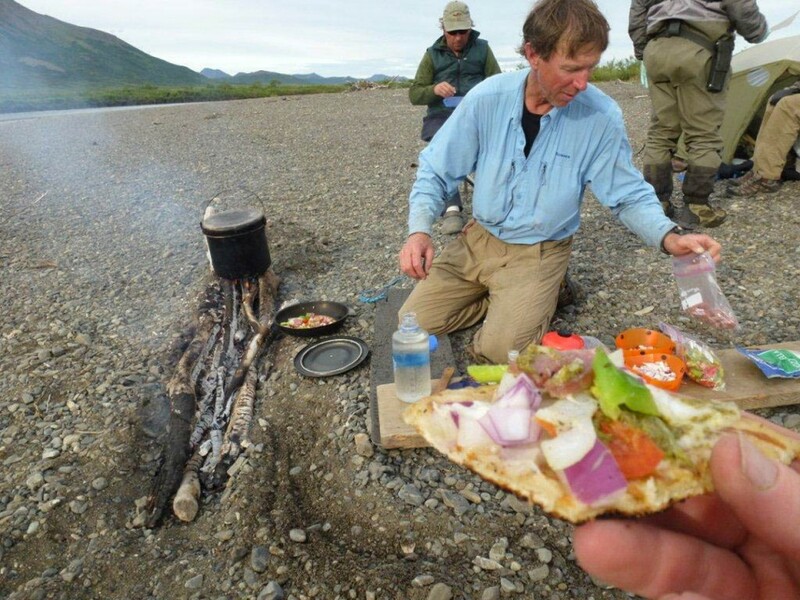 If you notice that he and his fly rod are absent during a meal it’s just his order of priorities. It turned out that if you wanted a partner to accompany you wading around the bend, perhaps several bends while you each sang your favorite version of the hit tune “Hey Bear!” Bruce is your man. 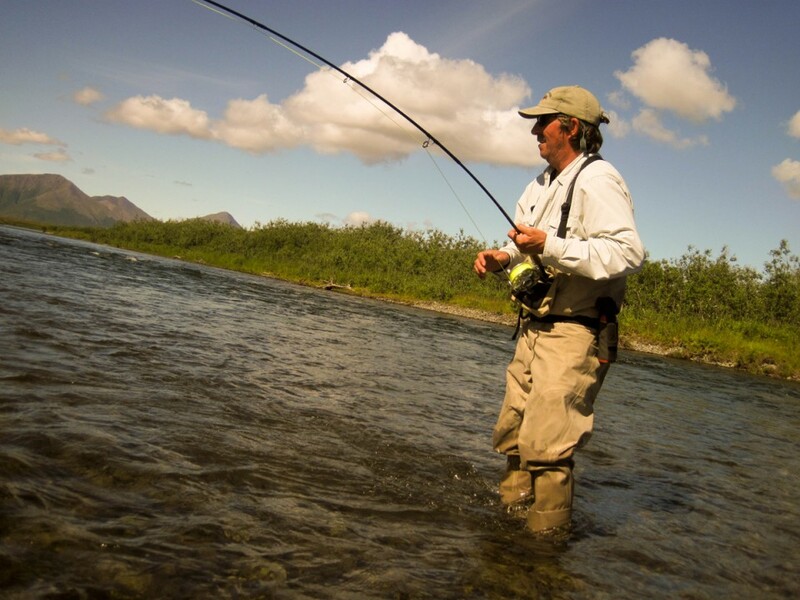 Bruce put in lots of miles wading and fishing the Goodnews and reaped the rewards. It turns out that over the course of a season that I clean up several campfire rings left on river bars by other parties. If you never thought about the details, then you too, would leave a ring of stones to mark your fire. 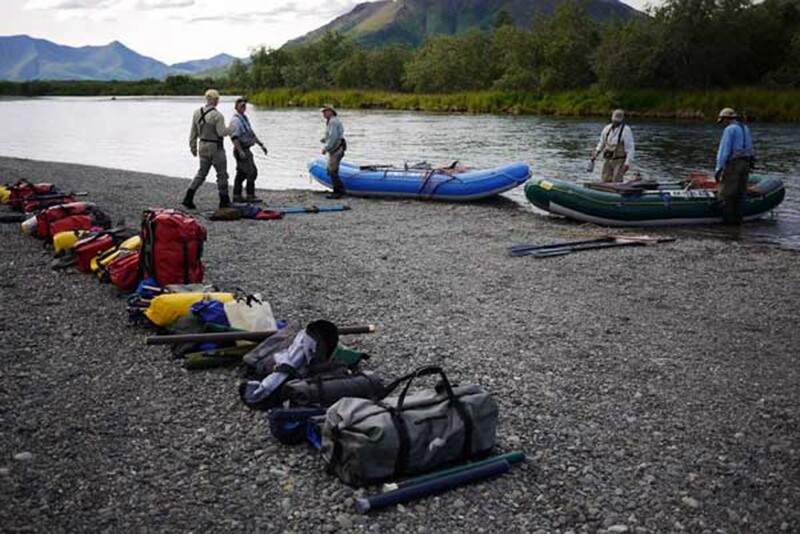 But consider that we are sharing rivers in the Alaska wilderness with other rafters and with local subsistence fishermen and there is a better way. This is not preaching. I hope. 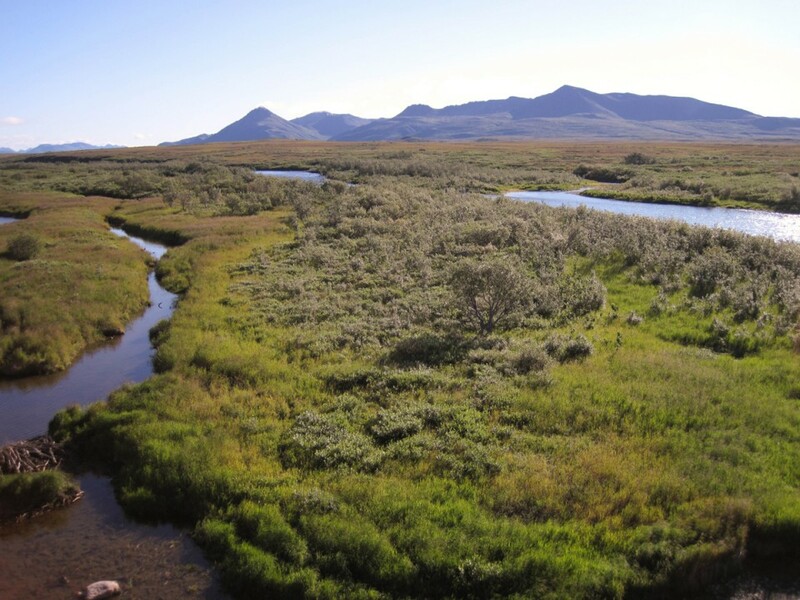 To really use the scant damp firewood of the tundra rivers effectively one uses the wind. A simple trench aligned with the wind is good. The wind drives oxygen through the trench and accelerates the whole affair. 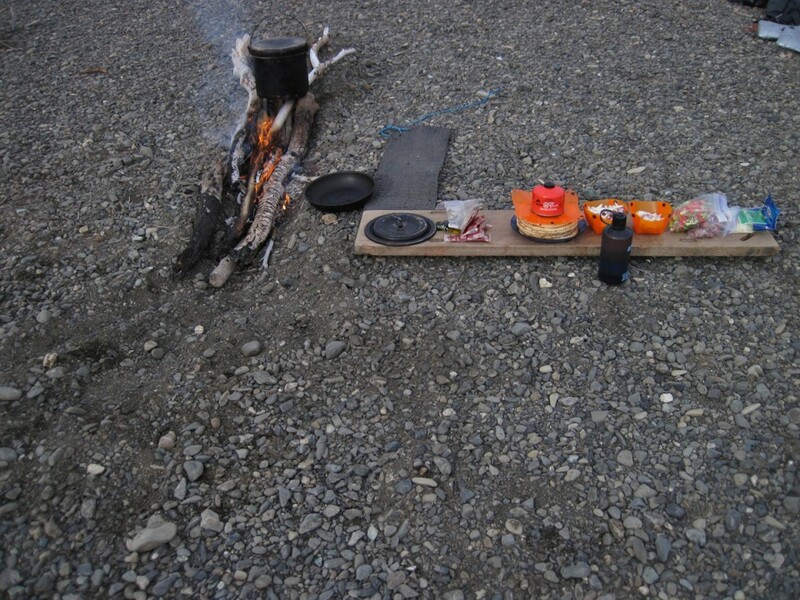 In the end one’s dinner and breakfast are cooked and the trench is covered over when you break camp. There is no sign of the fire. The extra unburned firewood left when you break camp could be set in the brush nearby, out of sight, for some future traveler in need. Certainly not every week. Not even every year. 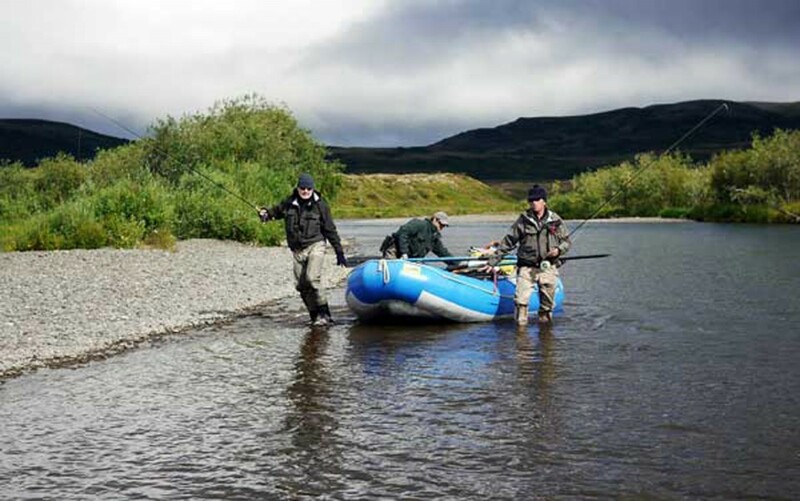 The river conditions and the weather conditions come together to create the perfect time. Coho nearly as long as your leg are hooked and released. They move upstream undeterred to spawn. 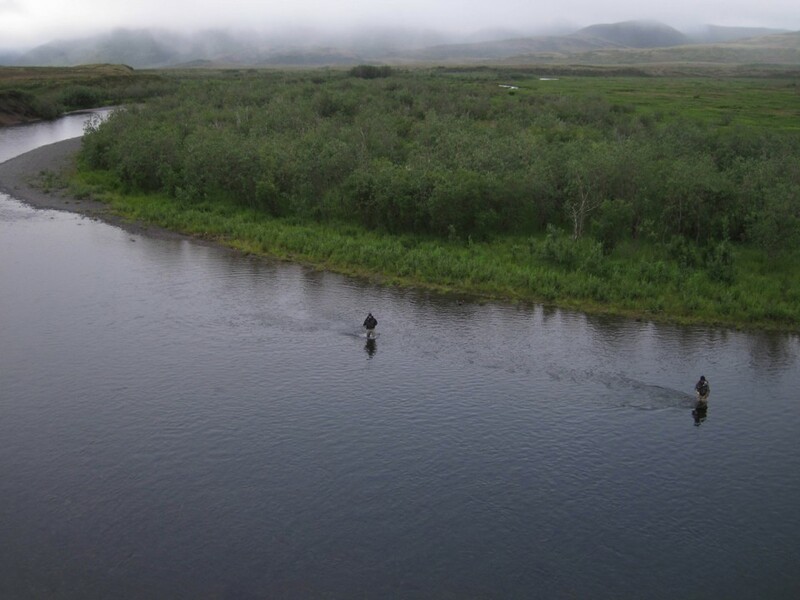 The log reports that “ A Brown Bear ‘moved’ Ifan, Jim, &amp; I off a gravel bar we’d been fishing on”. We had not seen her but we realized she had left a partly consumed salmon carcass on the bar when she had sensed our approach. We’d been in her space for as long as she could tolerate. She returned. We moved down river. Coho Ginger rolls for dinner. Today we passed a Merlin (falcon) perched at the mouth of a tributary creek. 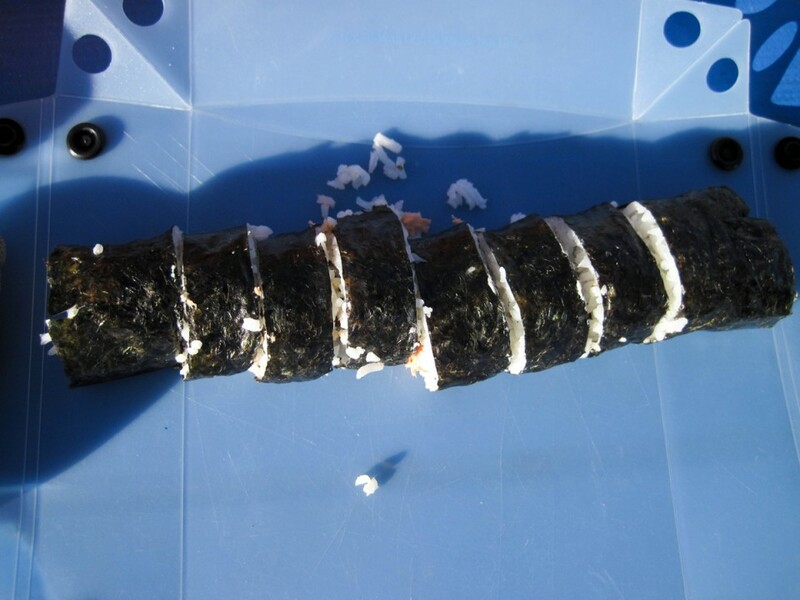 The fishery continued to grow stronger. Log of August 15, 2011:. “Moon nearly full as we eat breakfast. Barometer 29.80. 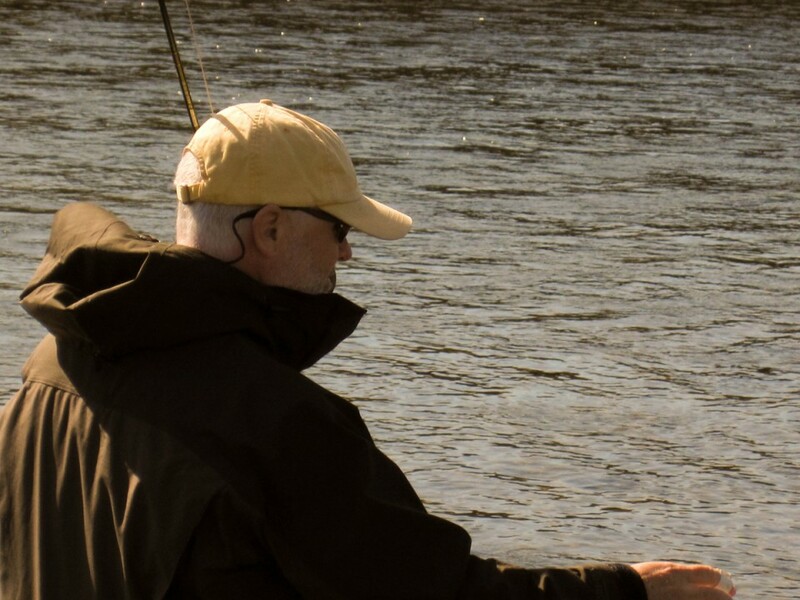 The King Salmon are still spawning (Which is historically late) and Coho Salmon are more abundant each mile.” As we travelled through the middle reach of the river the fishery changed. 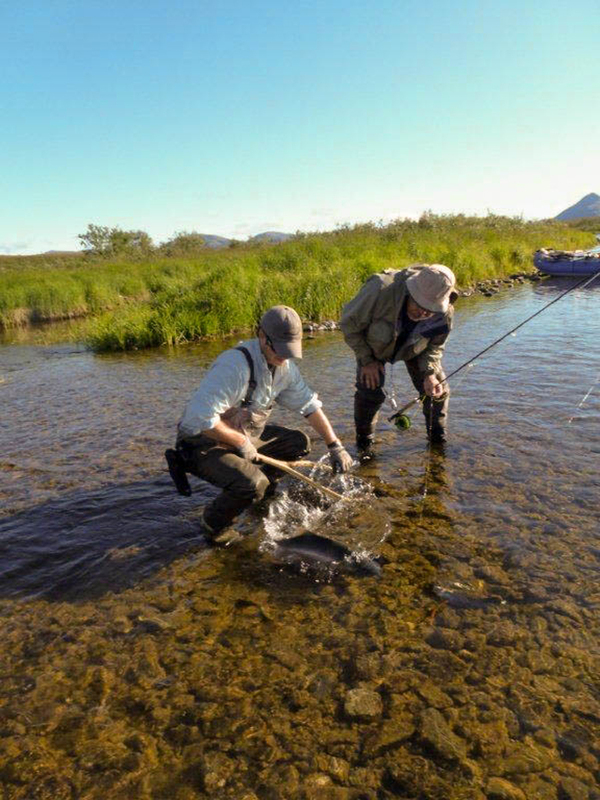 This is typical of a river in which Dolly Varden Char return to spawn. 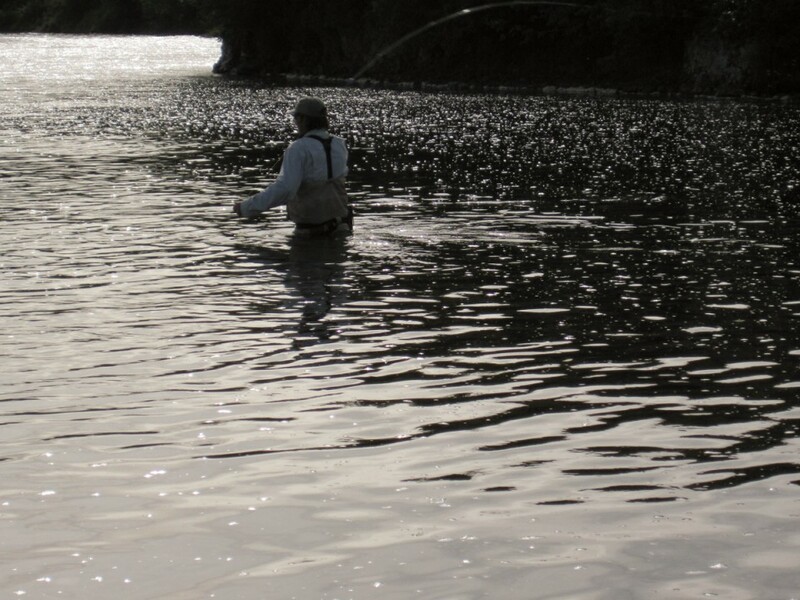 The mid river fish were generally smaller (12-18”) and more silver than the highly pigmented fish upstream. It is actually more complicated than this. To be sure the larger highly pigmented fish are staged up river. Here too in the mid reach there are large, less pigmented, silver, non-spawning fish among the smaller fish. 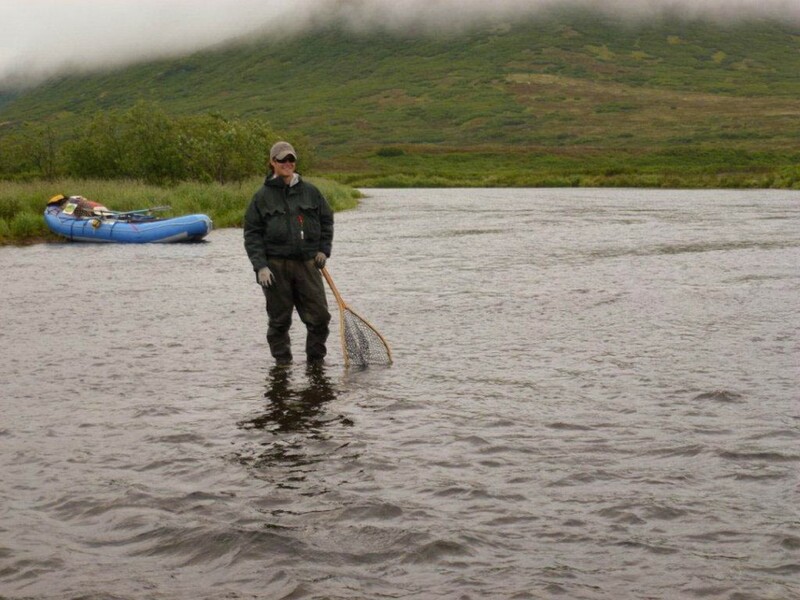 As one passes through the mid and low river the average size of the char decrease while the absolute number of fish increases. 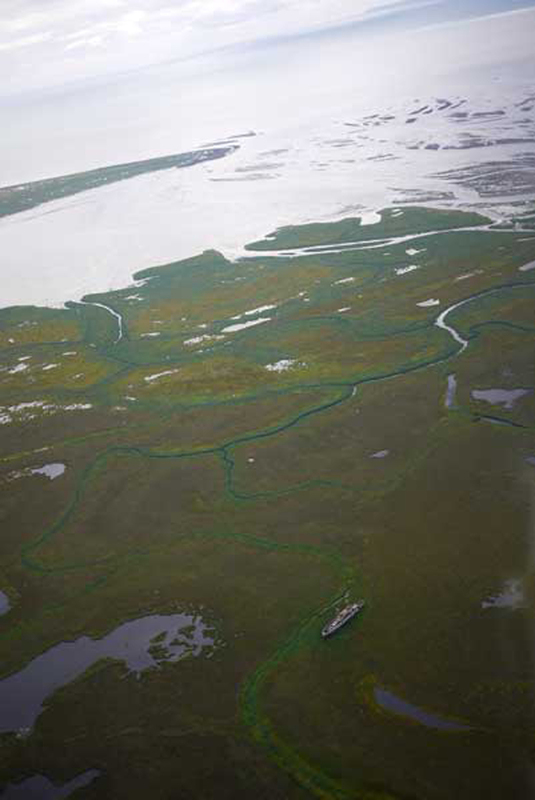 Many, many fish crowd shoals in 1-2 ft of water, which we refer to as “char beds”. A few of the char are quite large., but the majority are not. Some of them will feed throughout the salmon spawn and then overwinter, while others appear to exist without feeding on spawn. In fact the majority have empty stomachs! 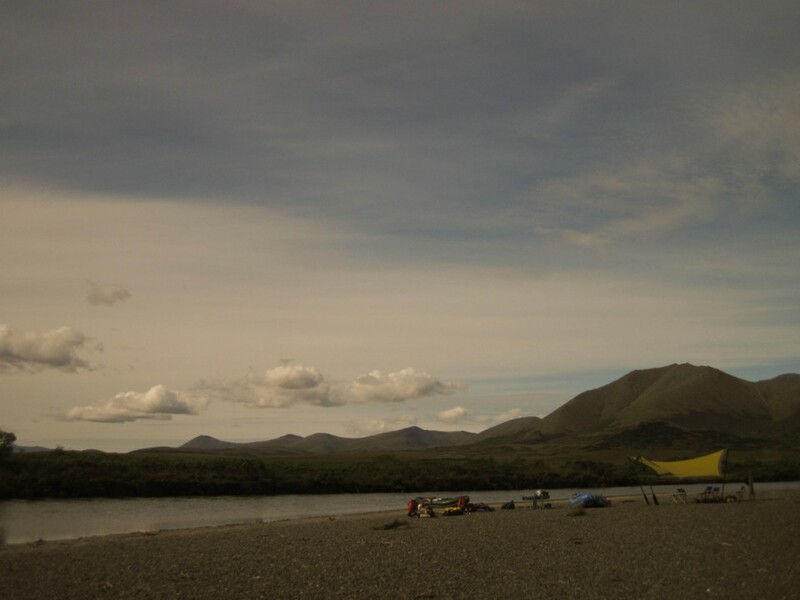 Log of August 16, 2011: Fair weather with high cirrus clouds developing in the afternoon. Fishing was astounding. 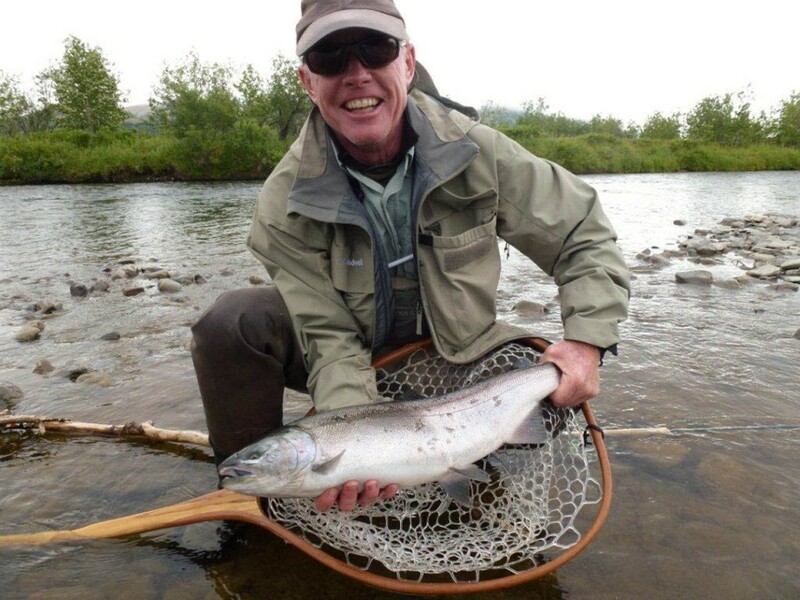 Coho are in all the major pools and eddies. Staggering numbers of Char. 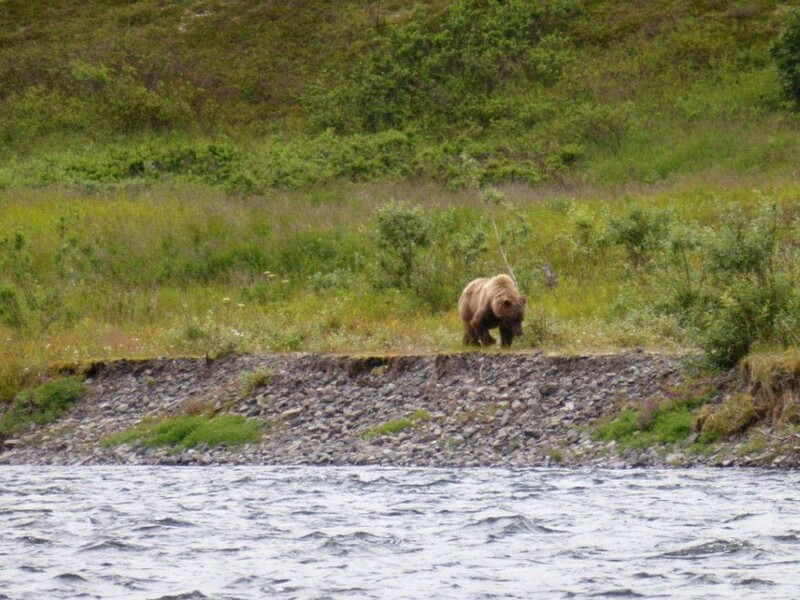 A Brown Bear seen feeding on salmon carcasses. Log of August 18, 2011. “Hot sun in the afternoon made camp set-up a ‘sorry’ affair.” We set up the wing as a sun shelter first and then drank lemonade. It was remarked that no Osprey have been seen on the river. 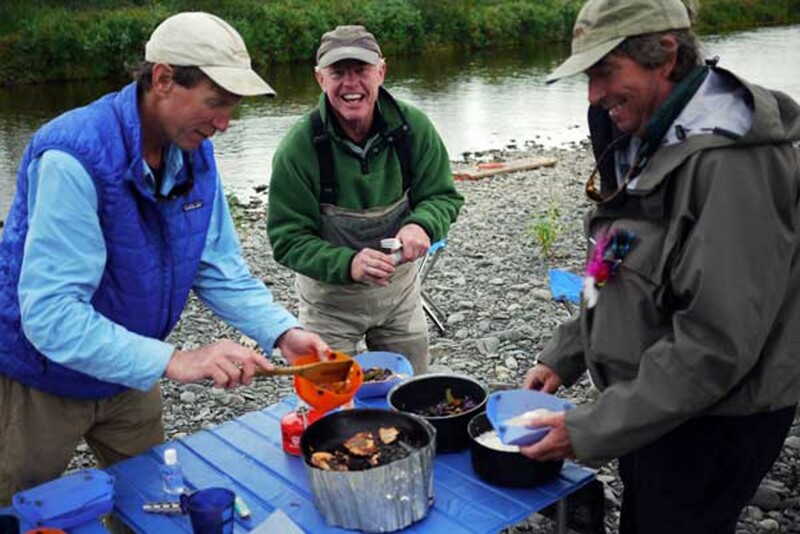 Jim Bean and Bruce Nelson fished with me and we chose a river right channel. The channel was a chum salmon spawning ‘aquarium’. It was a long outside bend, which Chums favor, at the peak of the spawn. 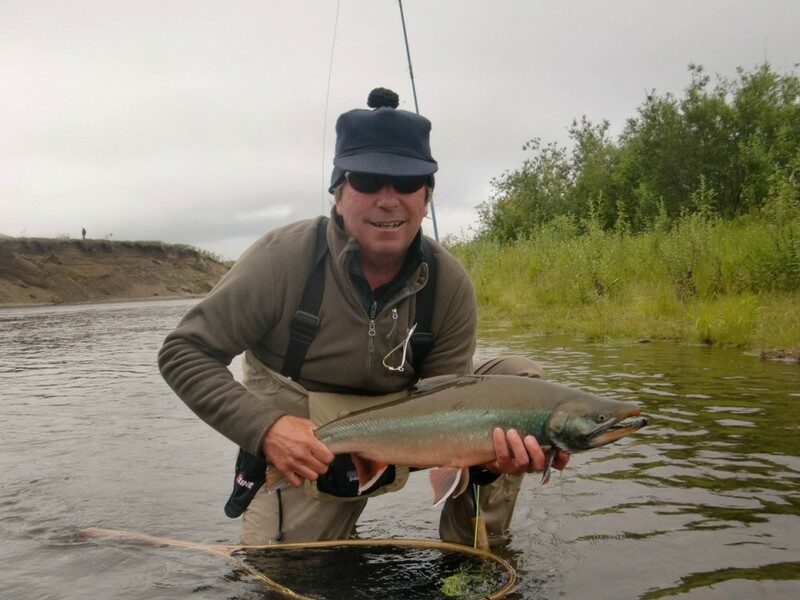 Hundreds, many hundreds of Char and Rainbow, attended the Chum. Jim &amp; Bruce jumped out of the boat, to reemerge at camp some time later. I don’t know how to summarize it better than to say: my own hands trembled after that session with the Char and spawning Chum. It doesn’t always happen this way. 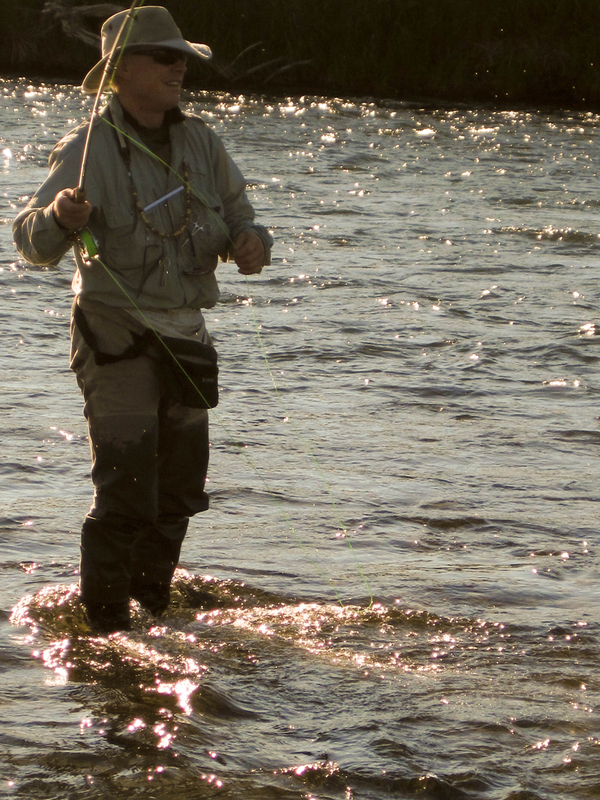 In fact the conditions generally don’t favor the fly fisherman, or the Osprey. If they did, then the resource would be depleted over time. 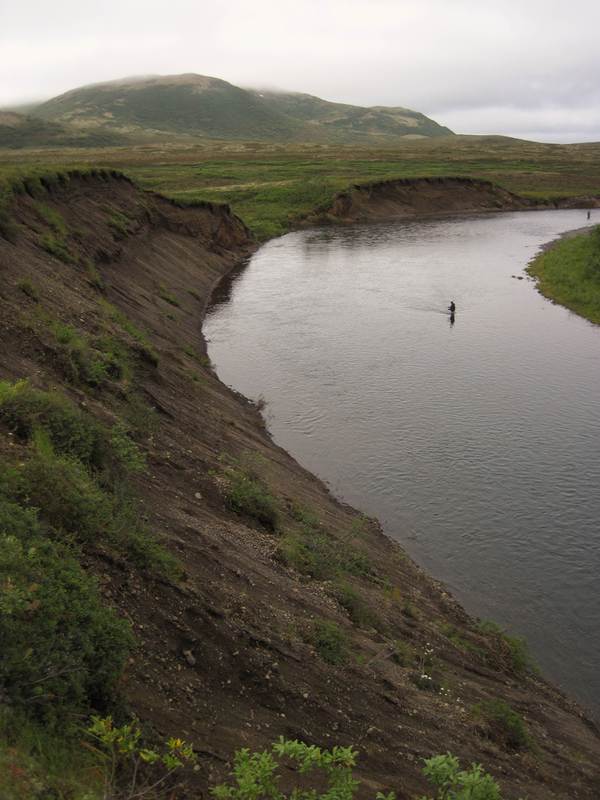 Instead the conditions on a Bristol Bay Salmon spawning bed tend toward overcast with a bit of wind creating a choppy surface and the location of the Salmon remains partly obscured. The words “best trout fishing of my life” were heard more than once today. From the log of August 18, 2011: “North wind veering east with increasing rain all day. Barometer falling”… “A sow with cubs ‘roared’ at us from the left bank as we ate lunch”. I fished with Bruce and Ifan and while we caught some Coho, Rainbow, and Char it was modest by comparison to Richard Voss &amp; Jim Bean. We made camp in a shelter of willows because I was nervous about the stormy weather signs. Richard reported later that this was his best day of fishing of the trip. We continued downstream while the river level came up two inches from last night’s rain. 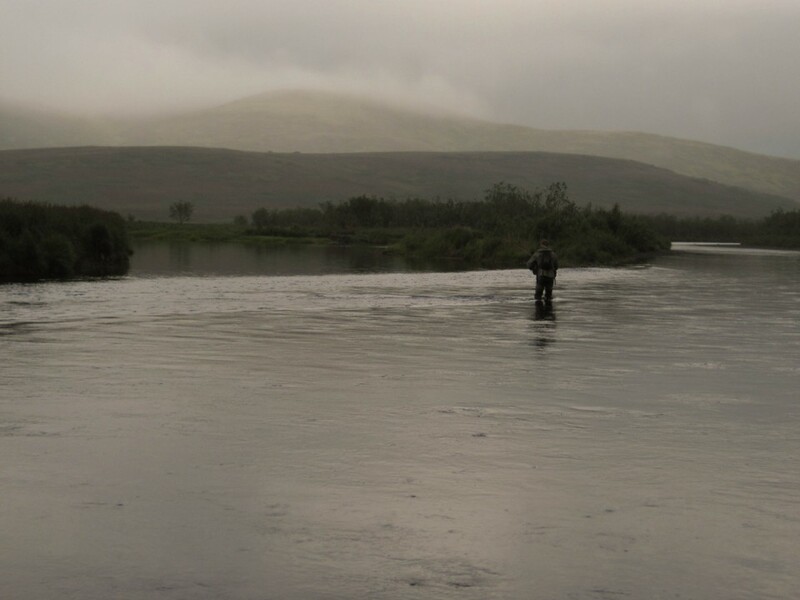 Meanwhile we’d left the Chum spawning behind and the fishery changed completely over to Coho with just the occasional trout and char. However when one did hook a Rainbow in the lower Goodnews they could be spectacular in size. By any measure it was a fine day. It was particularly gratifying to me because I’d spent 2 years waiting to be in the same boat fishing with Richard and Ifan. I imagined the conversations we’d have. Ifan from Inuvik, North West Territory lives just across the international border from Richard in Fairbanks Alaska. They both intimately know the terrain on their side of the Arctic. I can report that it was worth the wait to share this day and this week. 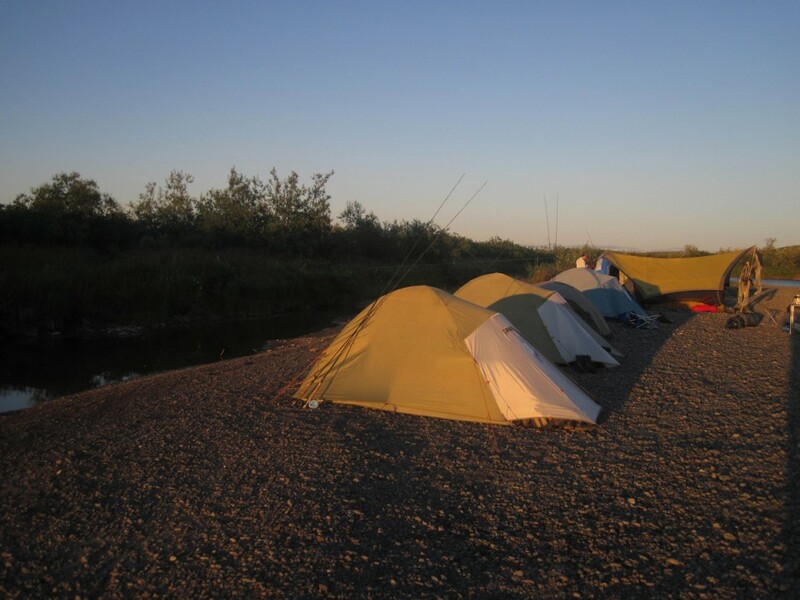 We logged 74 miles and made 8 camps while we fished the peak of the season on the Goodnews. 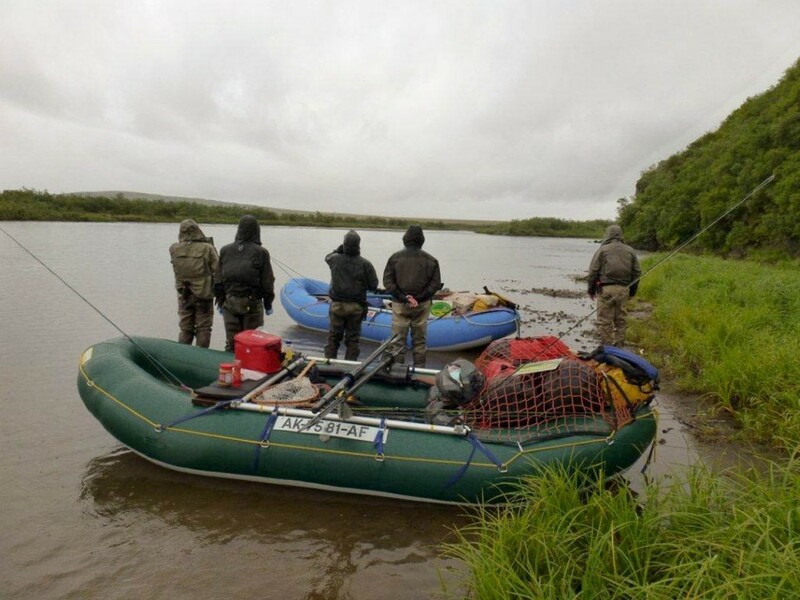 The two anglers from the Rockies contributed hugely to our success and the two men from the Arctic did also. 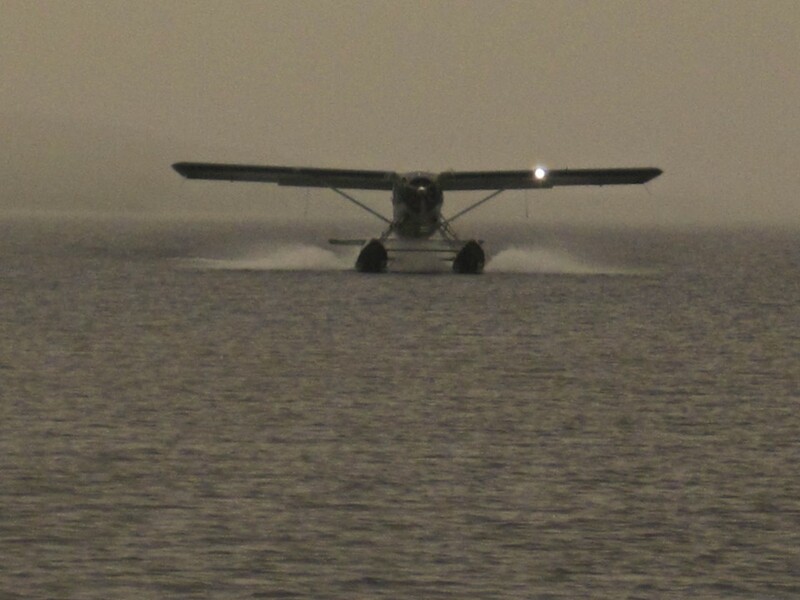 As the incoming tide entered the estuary our floatplane landed and retrieved us back to our other lives. Some magic water passed under our boats that week.